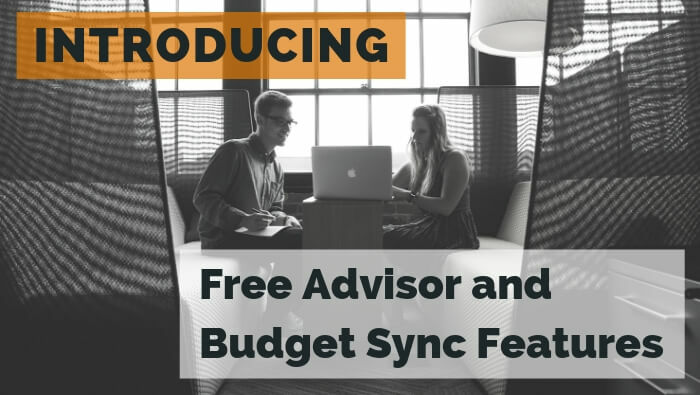 As part of our regular software updates, we have two new features this month that we are excited to share with you: Free Advisor and Budget Sync. Do you ever need to discuss your budgets or reports with your accountant or bookkeeper? Now you can invite them into your Calxa workspace without them counting towards your paid user count. The Free Advisor has full access within a workspace but no access to billing. They can help you add an organisation, set up budgets, review your reports and bundles. Feel free to involve your advisor in any aspect of your Calxa use. Your advisor could, for example, have their own bundle of reports so they keep up to date on what’s happening in your business and can alert you to upcoming problems. They could use the Profit & Loss with Projected Total report to look at your expected end of year results as preparation for a Tax Planning meeting. They’ll be able to see where you’re likely to be at the end of the year and help you make informed decisions on the best strategies. Adding a Free Advisor is easy – go to Admin, Invite a User and select Free Advisor as the user type. Your advisor will get the invitation by email and just has to accept it. We’ve had a number of people asking for this feature – the ability to continuously sync your accounting system budgets into Calxa. We released this feature for Xero and MYOB AccountRight in mid-March. QuickBooks Online and Essentials are in production and coming very soon. We bring in the budget from the accounting system to a special read-only budget and update every time we sync. Remember: we don’t put anything back into the accounting system – it’s a one-way sync. If you decide you need to edit the budget in Calxa, copy it into new budget version, or use the Budget Factory to copy just one year’s data into an existing budget.